Brandon Woods is an infill site located approximately 7 miles from BWI airport; 2.5 miles to Key Bridge and 2 miles to I-695. 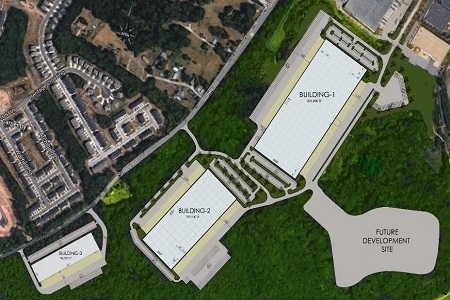 The site is the last parcel available within the 3.0M square foot Brandon Woods industrial park in Curtis Bay, MD, which was largely built out in the 1990's. The proposed project represents a 139 acre land site that will allow for the development of three state of the art industrial buildings totaling 900,000+ square feet (a 500k+ s.f., a 300K+ s.f., and a 100k+ s.f. building) in an A location with its own designated access. The development will take place in a joint venture with highly respected and active development partner Chesapeake Real Estate Group. EverWest acquired Brandon Woods on behalf of an institutional separate account with a Fortune 500 telecommunication company in August 2017.